If you have recently placed credit card orders with Wideners.com, you should check for unauthorized charges and other suspicious activity related to your credit card(s). You may also want to contact your card issuer. The reason is that web security breaches have “allowed [unauthorized] access to some customer credit card information.” After an initial security breach in February of this year, there was another breach in the past few days. Just prior to February 16th, there was a brute force attack on the site that we now believe allowed access to some customer credit card information. Fortunately, we keep very few customer records in our on-line database. Since there is very little information on the site, exposure is minimized just in case something like this ever happens. We were alerted to this potential breach by a few customers, and we are fortunate that it was so small. When our internet provider later discovered the attack, we immediately took action to prevent unauthorized access. Since that time, we have further tightened security. We have also performed internal audits to insure all our in-house systems are free of problems. At this point, we believe we have identified only a few customers who were affected by the incident, and we have done everything possible to prevent recurrence of this activity. If you suspect you have had a problem due to doing business with us, please let us know immediately. We sincerely apologize for any difficulty this has caused. President, Widener’s Reloading & Shooting Supply, Inc.
Update 4-4-14: For the period 3-31-14 to 4-3-14 our website provider’s website was compromised and credit card information for those dates may have been obtained by unauthorized users. We have been in meetings all day long with a host of computer experts and programmers and our web provider. The breach from overseas has been finally been identified and eliminated as of 4:00 EST. Our web provider now declares that the website is secure. 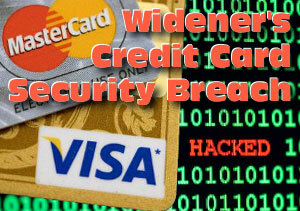 Share the post "Customer Credit Card Security Issues at Wideners.com"
Think im all done buying here, not worth the risk. I’m happy with the purchase and I’ll keep buying. But as one of “only a few” who can’t buy right nowbecause I won’t have a new card for about a week, it’s no comfort to be part of a small group – I wouldn’t be happier if I were the only either. I’m still jumping through hoops trying to settle all the issues that arose from this unfortunate incident. I’m sure that wideners is a quality company but it appears that they have many more problems to address before they can be classified the same as midway,midsouth, natchez and other high quality online vendors. For the foreseeable future I’ll do my business elsewhere. UM unfortunately Natchez isn’t any better. Right before the holidays last year a I was hit hard at a Walmart. I stopped buying there as well. Having the bad luck of being hit the first time, the bank let me know about it and again today discovered that my “new” card that I used on the 31st there for an order was also compromised I am peev’d at them. Waiting to see what they offer their customers for having two data breaches in such a short period. Sony offered credit monitoring when their data was hacked. Both times there were charges for $4.71 twice from hotels, then they went for bigger charges. I have filled out the paperwork for false charges. Last set of charges were from shopperfund.com their website does not even have a phone number listed but the charge said it was a phone in order. Widener’s would like you to believe this was a recent event. Not in my experience. My first CC fraud due to Wideners was back in early November 2013. Shut down that credit card. Next event was early March 2014. Shut down that credit card. Latest fraudulent purchase due to “hacking” (if that was the case) was May 10, 2014. Third shut down of credit card due to Widener’s insecure website. If Wideners wants to do internet business from here on, they need to do due diligence. Their “hack” was massive! Check your credit cars on line daily. It is not over. I saw the initial warnings about the credit car security breach at Wideners from earlier this year so when I saw some items I wanted to purchase I was of course weary of doing so but I read that they had it resolved as shown in their statement above and even inquired. I was advised that other than issues with iPad/iPhones – the security breach with compromised credit card numbers has been resolved. Still apprehensive, I used a card that I don’t normally use so I could track it easily, I placed the order on 5/6 and the VERY NEXT MORNING, I received a phone call from my Chase Credit Card Services advising me that there were some suspicious charges on my card in the past 24 hours. They reviewed the charges they were indeed fraudulent charges. They removed the charges and told me to shred my card. Buyers beware, this many breaches in such a short time period is unacceptable – especially when they say multiple times that the breach is fixed. I had fraudulent charges on my card before Wideners even had my order on the table packed. If you think it doesn’t cost you because the fraudulent charge was caught by your credit card company, think again. The fraudster actually received the goods he bought with your credit card. All tolled in this breach, 100’s of $thousands. Cost of doing business is this fraud meaning rising prices to pay for it. Crooks get stuff free at our expense and we waste hours fixing it. In this case, and I know for proof positive, that the fraudster has NOT ONLY your credit card number, but your billing address, your telephone number and all the rest of the information you post when you buy online. Meaning additional credit apps in your name. perhaps changing your password and address etc. Check your credit cards online daily.